Green MEP Martin Häusling, the party's spokesman for agriculture, warned that the Transatlantic Trade and Investment Partnership between the EU and the United States risked a trade-off between the EU's strict consumer protection policies and economic interests, with likely effects on the European agriculture industry. He spoke to EURACTIV Germany. 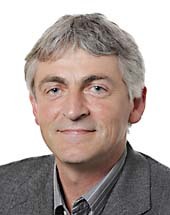 MEP Martin Häusling (Germany) is agriculture spokesman for the Greens group in the European Parliament. He is coordinator of the Committee Agriculture and Rural Development and member of the Committee Budgetary Control. He is also a member of the Delegation Euro-Latin America and Delegation EU-Chile. He spoke to EURACTIV Germany's Ewald König and Patrick Timmann in Berlin. On Monday (16 December), the third round of negotiations will take place between the EU and the US on the planned Transatlantic Trade and Investment Partnership (TTIP). Martin Häusling underlines the lack of transparency in the ongoing TTIP negotiations. In an interview with EURACTIV Germany, he said it was unacceptable that an EU Commissioner and a US bargaining agent held confidential negotiations and then "the Parliament is only allowed to vote 'yes' or 'no'". What kind of situation is that? It's sink or swim! ", he said. Häusling criticised the lack of involvement for the European Parliament in the negotiations, saying: "As a Parliament, we have long been fighting for a say in all decisions. So, it is disconcerting for us when we only receive information from the Commission upon request." Even conservative MEPs are "not amused" over that fact, said Häusling. The US and the EU have conducted 600 consultations with industry representatives since the negotiations began, Häusling said, pointing out that only five such meetings have taken place with representatives of civil society. The Greens hope to bring this "undemocratic guise of accompaniment" to the fore, the Green MEP added. "My feeling is, when people are informed about this, many of them wake up." Consumer protection as a bargaining chip? Häusling and his party fear for the survival of Europe's comparably strict consumer protection norms. "I am concerned that standards in all sectors will be loosened. Consumer protection in particular, is an area where the US and the EU are worlds apart. For this reason, we in the Green party are calling for these two areas to be excluded from the negotiations." This position is necessary, he argues, even though the European Commission has promised not to meddle with European standards. "If that is true, then I'm wondering why they are even a part of the negotiating packages," Häusling pointed out. Rhetorical promises from the Commission regarding consumer protection are purely a negotiation tactic, he said, adding that the main priority for European negotiators was to open up the American market to European industry and service providers. For the Americans, however, the main motive is to dismantle non-tariff barriers (NTBs) and consumer protection falls into this category, said Häusling. Thus, for the EU executive, strict consumer standards become a useful bargaining chip to assert its own interests, he said. "In America, the prevailing impression is that EU consumer protection regulations only exist to keep American products off the European market." Häusling traced the misunderstanding back to the different mentalities and legal systems on each side of the Atlantic. "The fundamental difference between the American system and ours is that they favour the 'postcautionary principle' in consumer protection. In other words, whatever is put on the table must be hygienic and germ-free – but how the product was developed does not matter." In Europe the process is completely different, Häusling said, pointing out that the entire production process is monitored, to ensure everything is in order. Häusling discussed several points of contention in the TTIP negotiations. On the use of gene technology, cloning and the labelling of genetically modified (GM) products he said: "The Americans will not consent to labelling their goods [regarding GM content]. Cloning has become commonplace in American animal breeding. Meanwhile in Europe it is banned". "Our labelling norms for GM products are not acceptable for the Americans," the Green MEP continued, saying, "And because this labelling requirement does not exist in the US, the corresponding control systems do not exist either. The same goes for cloning. For the Americans it would be very expensive to implement such a system." In the event that the Americans are able to assert their position, Häusling fears that it could squeeze the market for GM-free products in Europe. The bulk of GMOs end up in the feeding trough, not on supermarket shelves. Consistent monitoring of the entire supply chain is almost impossible. At that point, it can hardly be ascertained how much of the final product is derived from GM material. "The more genetic technology is used in the production process, the harder it is for producers on the GM-free market to maintain the purity of their products", Häusling warned. He predicted grave consequences for European agriculture if bans on GM plant cultivation were removed. Genetic engineering as a whole is just "one big experiment" anyway, said Häusling, "but it is the structure of the agriculture industry itself that will be fundamentally changed. In global free trade, the agricultural sector always slips through the net. We still have 13 million farmers in Europe. The Americans have a comparable surface area with only 750,000 farmers. It should be clear who will win out in the end." Hence, Häusling contends, the free trade agreement will also affect the future of millions of small-holders. "In the end," he said,"only the big structures will profit from free trade."